Unlike my post a few weeks back on the West Lancashire Narrow Gauge, this railway no longer exists. 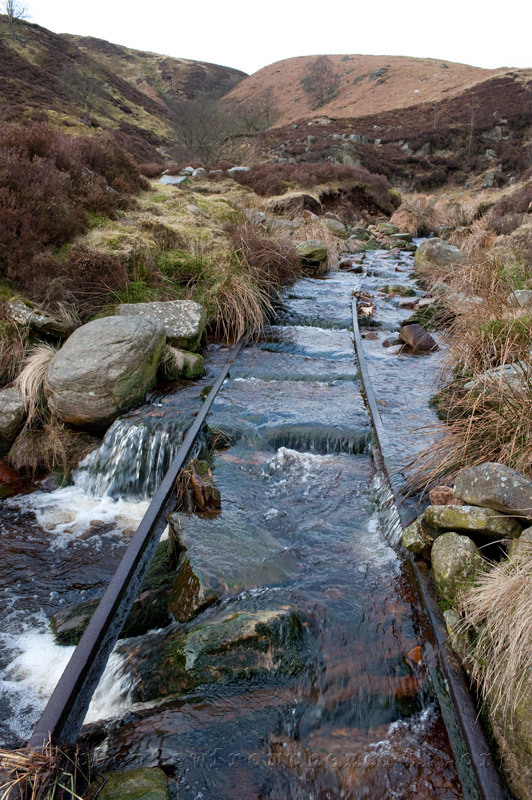 It was only in existence for about ten years during the 1920’s – 1930’s, to assist in the construction of the Stocks Reservoir, deep in the Trough Of Bowland. It linked the Jumbles Quarry with the main construction site, and ran for four and a half miles, and used ex War Department engines, which dictated the unusual (for Britain) 3 foot gauge. The line was taken up after construction was complete, although bits of it still exist, and the trackbed can still be seen. This was at the quarry end, I’m not sure how the track has ended up like this, but it makes for an interesting photo. 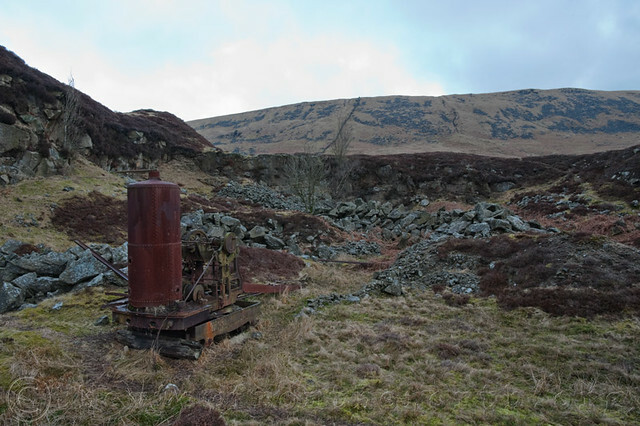 Also at the quarry is this derelict Smith and Rodwell steam crane, again, I’m not sure why it was left rather than being removed when the track and other infrastructure was being cleared, but I don’t think it will ever leave the quarry, as it ‘s somewhat inaccessible. Still it’s an interesting curiosity! Previous Post #132 – Mechanical Landscapes book finished! Very interesting! Like the shot of nature taking over the remains of the track.